Sweet pies are one of the highest points of Greek gastronomy, and even though Corfu was never under Ottoman rule, the Turkish influence is obvious in many of its desserts, so, if you have a sweet tooth, you are at the right place. Baklavas, galaktopoureko, kataifi and an endless list of heavenly delights, covered in buttery syrup and pleasantly melting in your mouth, await for you in every corner. Chocolate and Nutella filo cake. Most of these desserts are prepared with milk, butter and honey so... what about vegans? Many times it's really hard entering a patisserie and leaving empty-handed and with tears in your eyes. 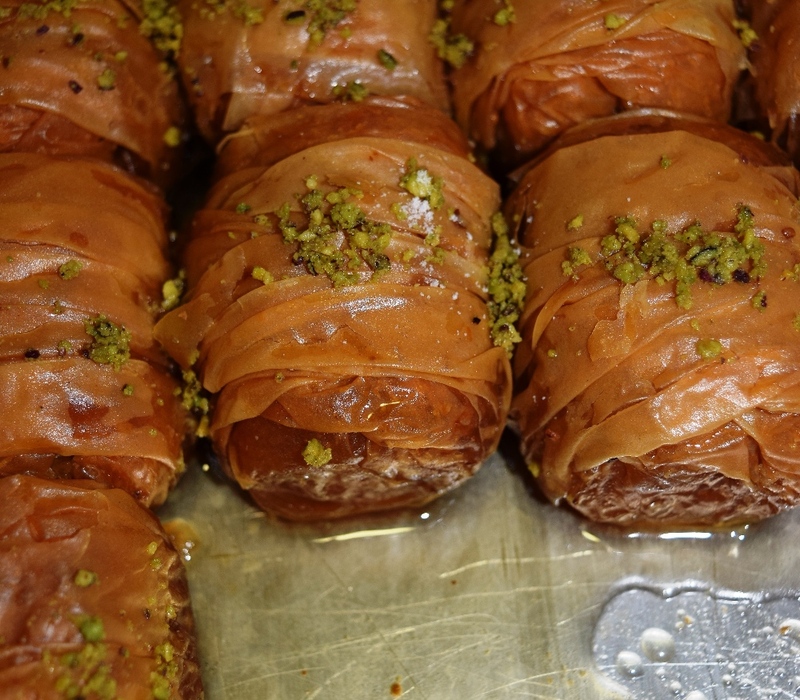 Don't we deserve a Greek sweet bite, too? Don't panic and hold on a second. 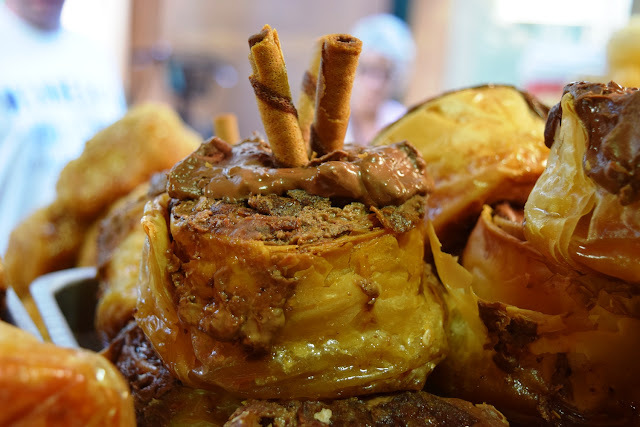 In the center of Corfu's Old Town, very close th the Jewish Quarter, there is one of the most amazing bakeries I've ever seen. 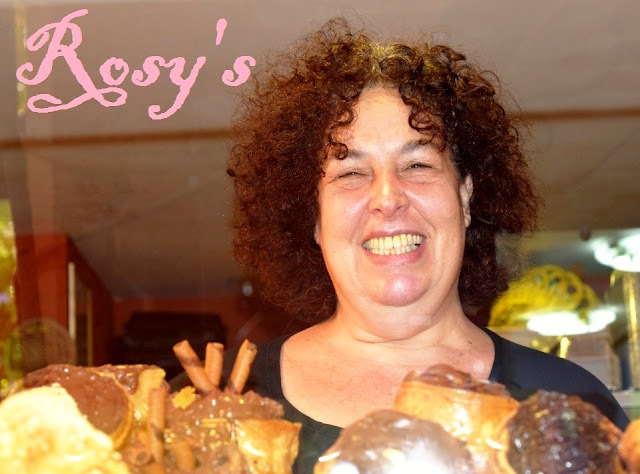 Rosy's smile welcomes you from behind the shop windows, and she always gives you good advice about the best snack and dessert, sweet or salty. 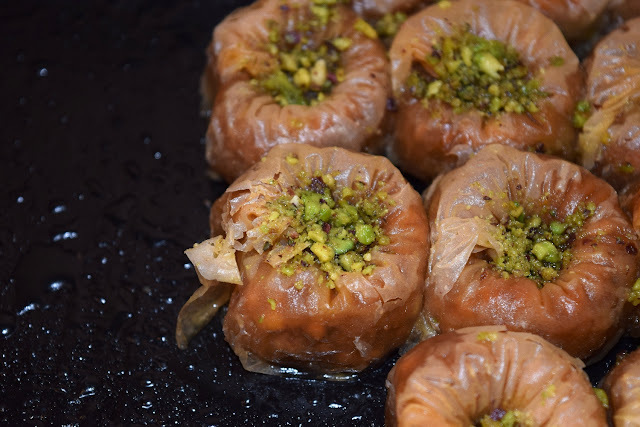 Not only it's a family business full of charm, but also she also offers other choices that you won't easily find on the island and suit everybody's tastes and needs: gluten free, sugar free, milk free and also...VEGAN! You can pick your choice and take it home or enjoy it right there, together with a cup of coffee, at one of the tables outside the shop (if they are free!) Rosy's customers are so happy and thankful that they express their feelings on the wall and they always come back or send their friends. So you already know what to do if you are really craving something sweet. Trust me and enjoy it! Have you already been here? Tell us about it. Vegan cheese spread to go to Heaven.